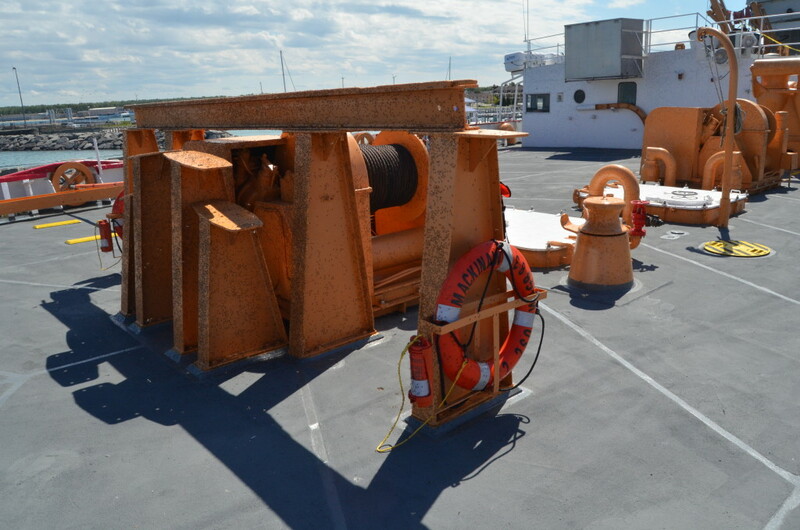 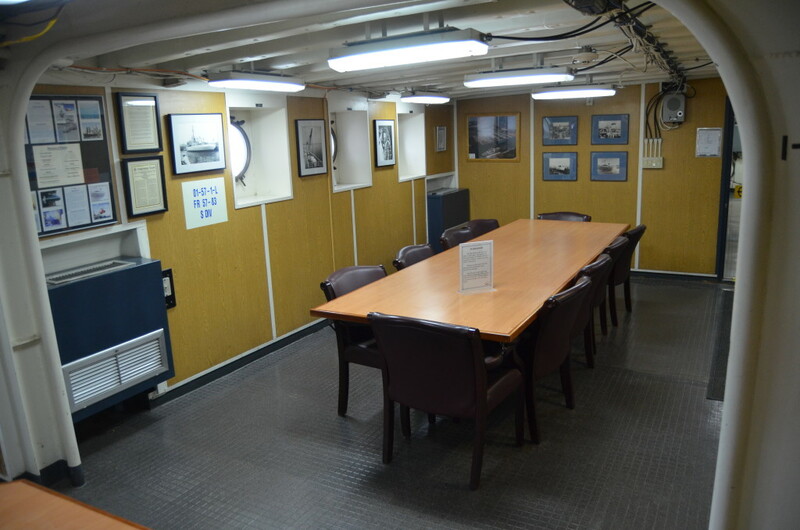 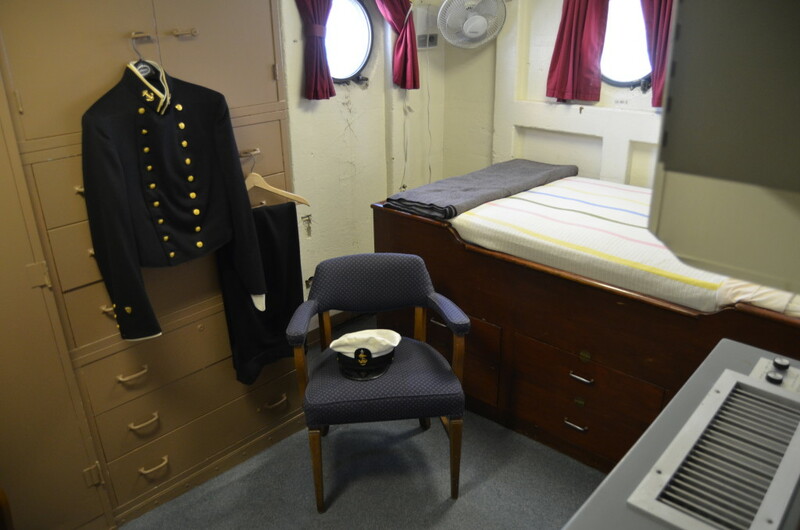 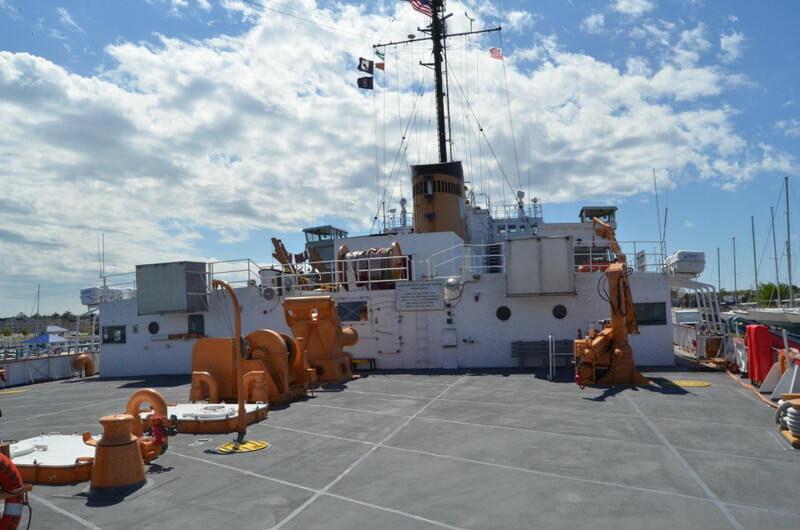 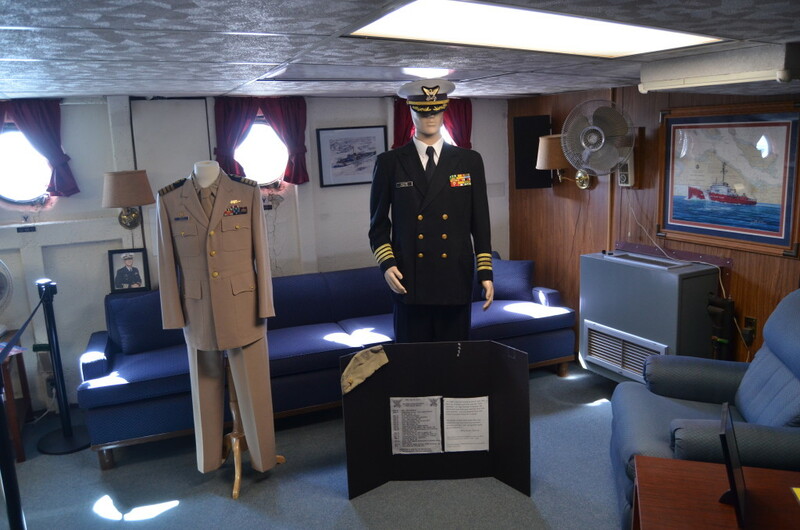 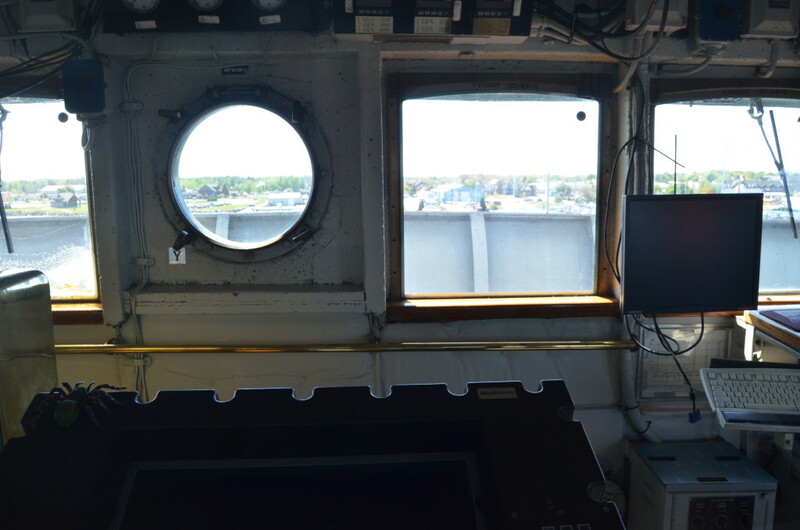 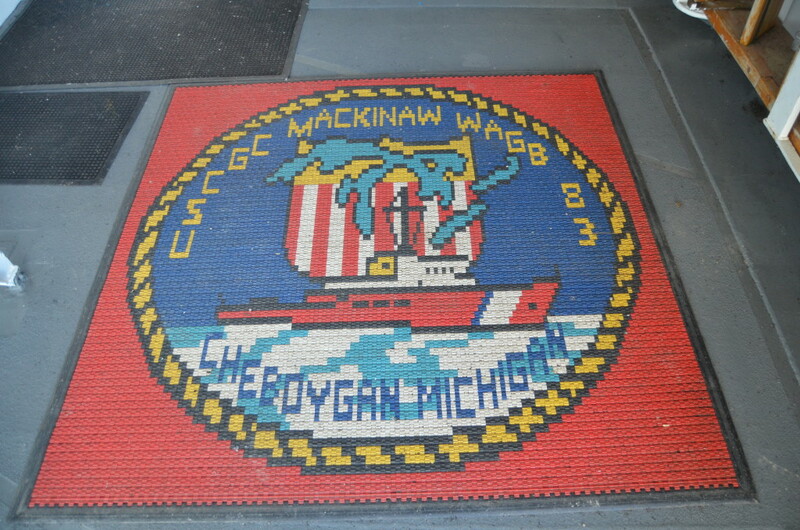 Exhibits on board the ship detail the Mackinaw‘s service history, complete with artifacts, photos, and more. 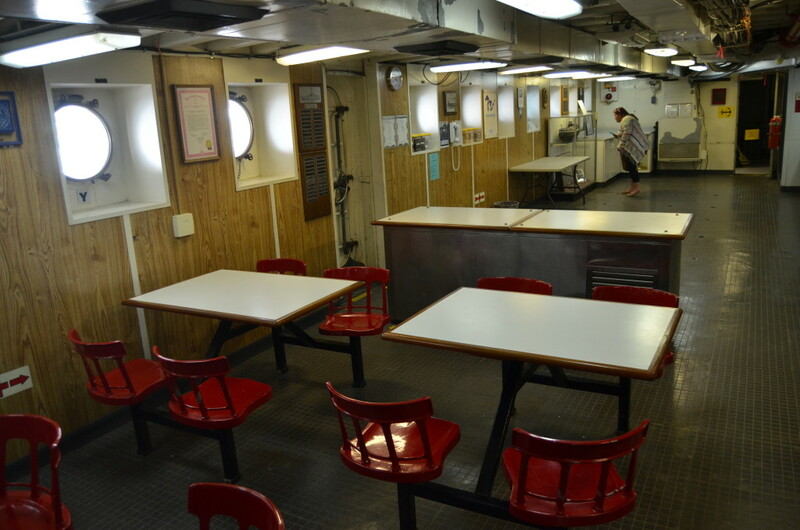 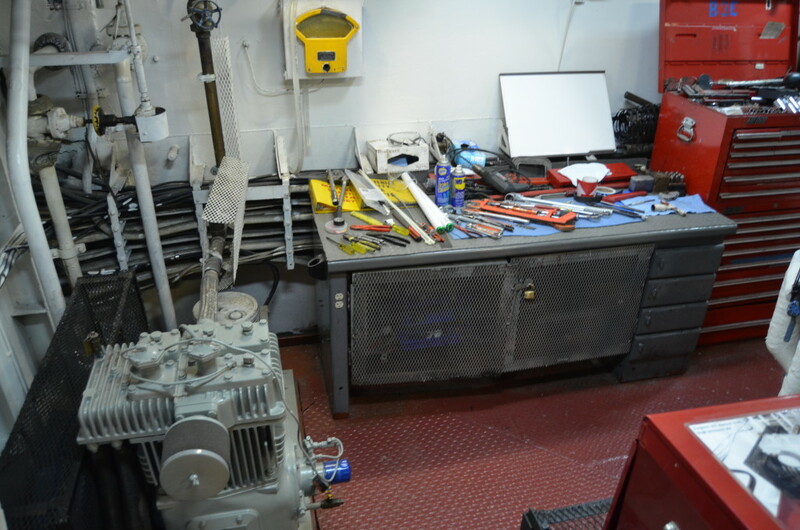 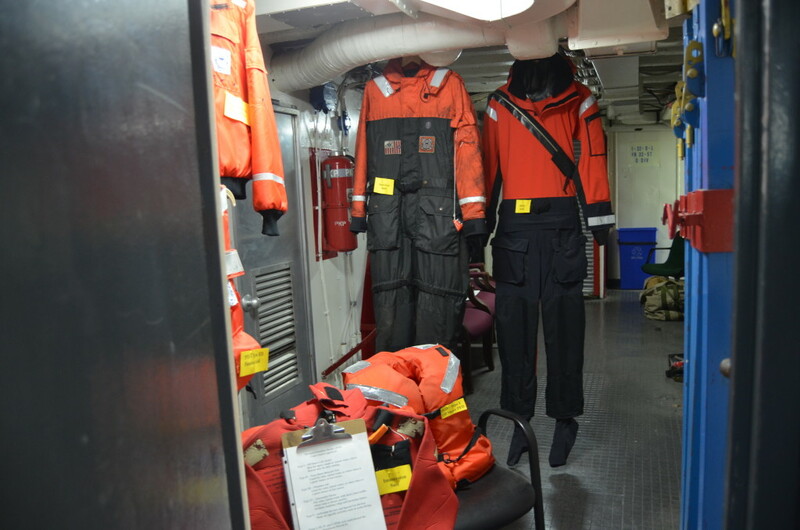 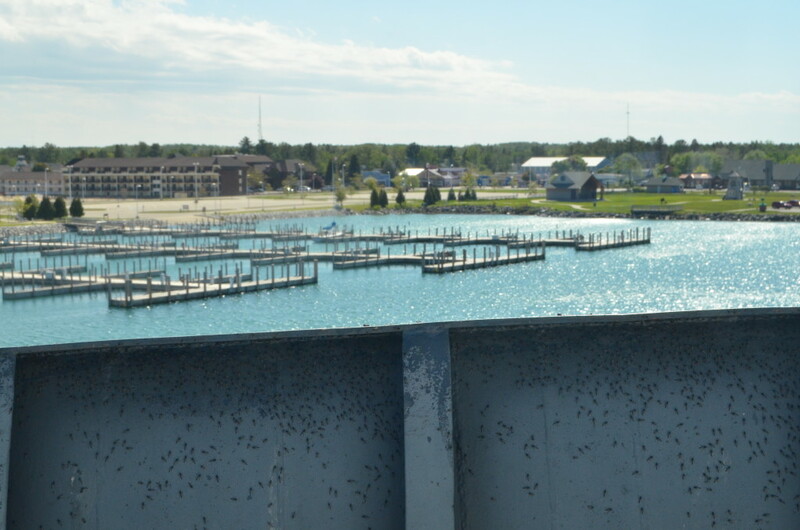 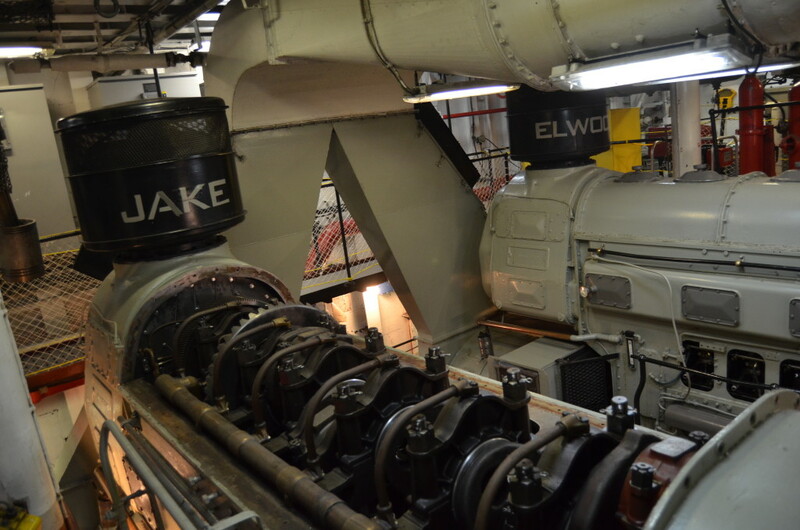 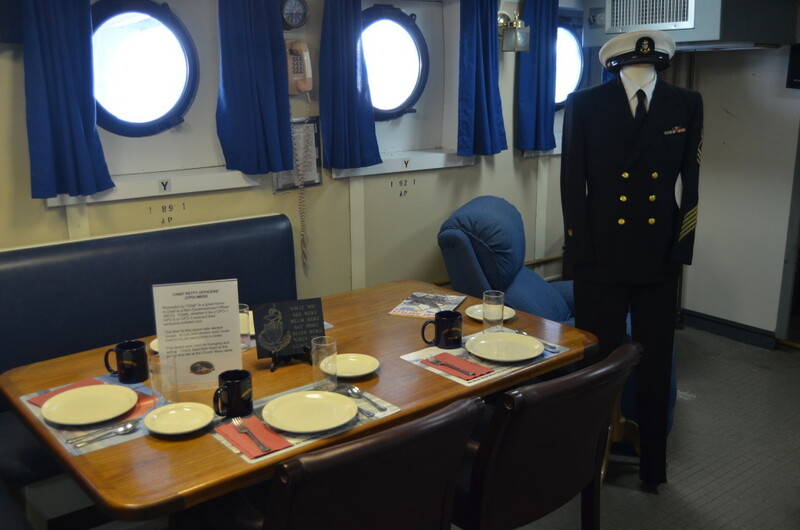 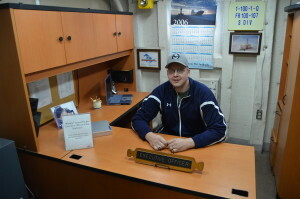 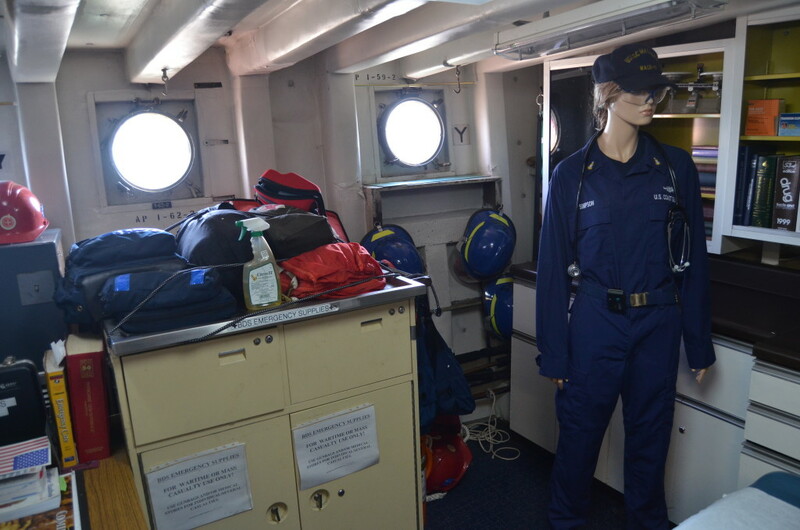 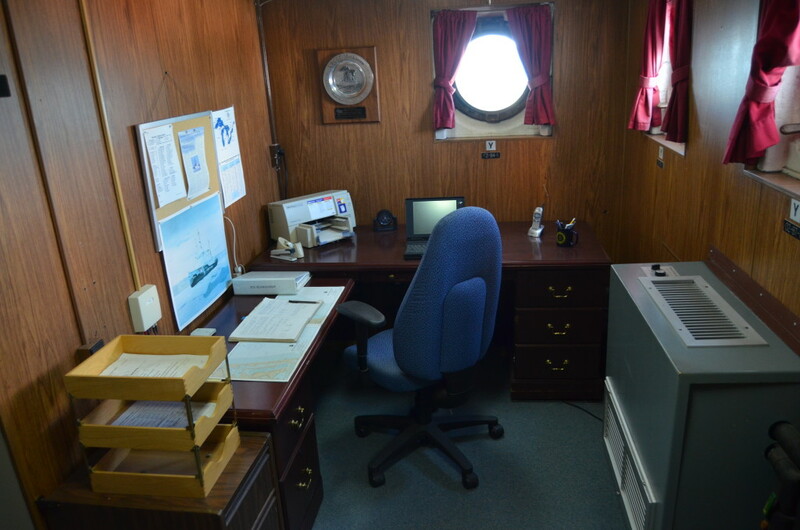 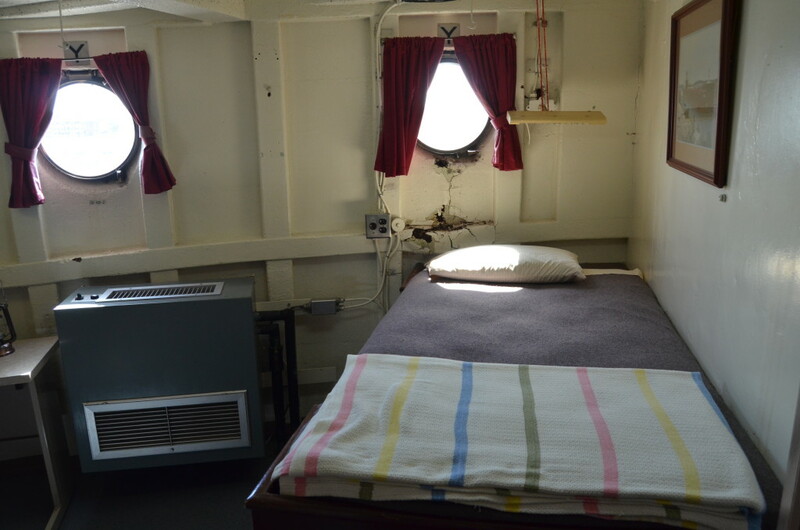 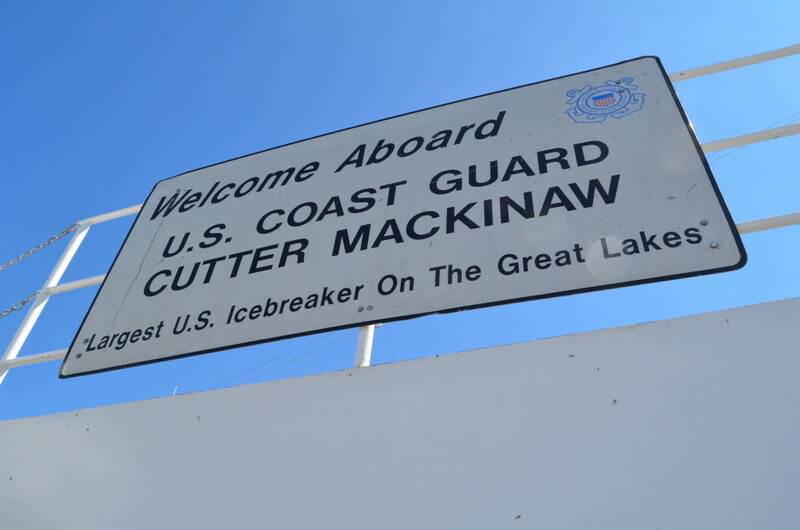 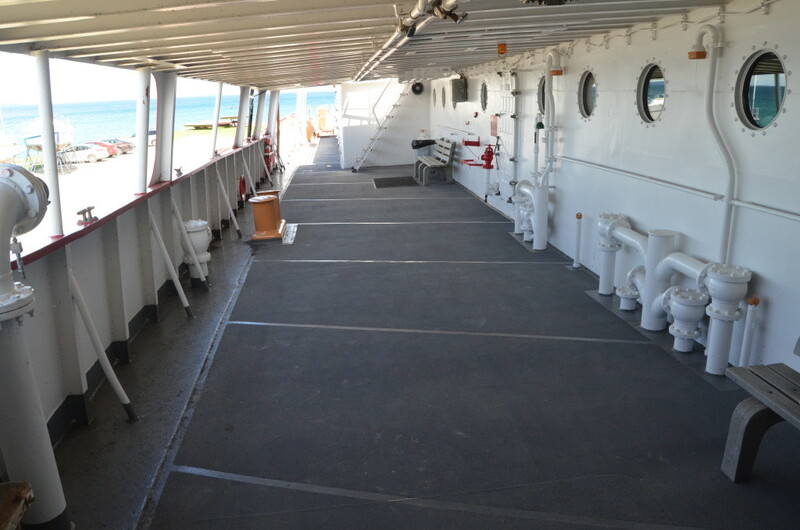 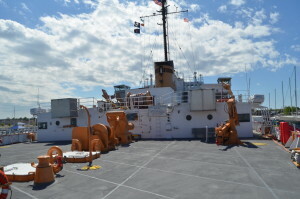 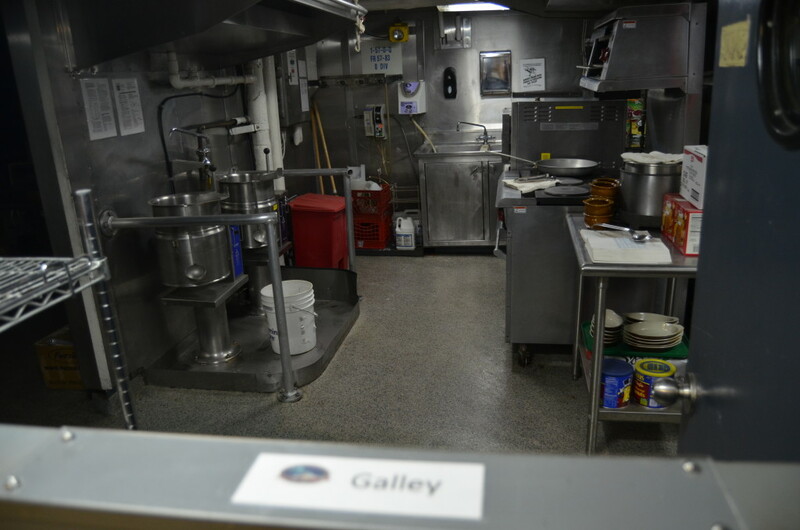 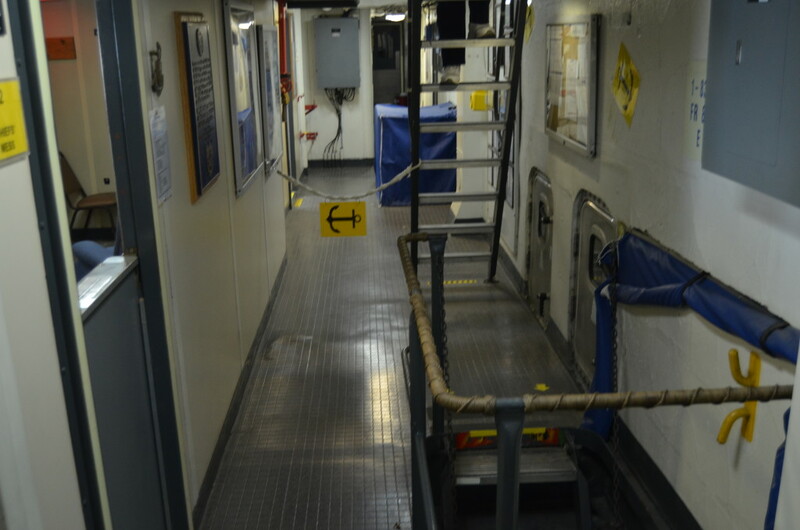 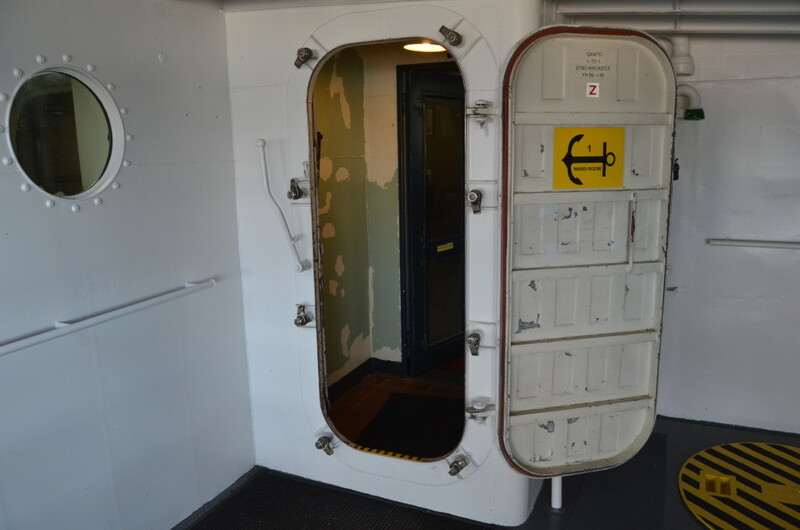 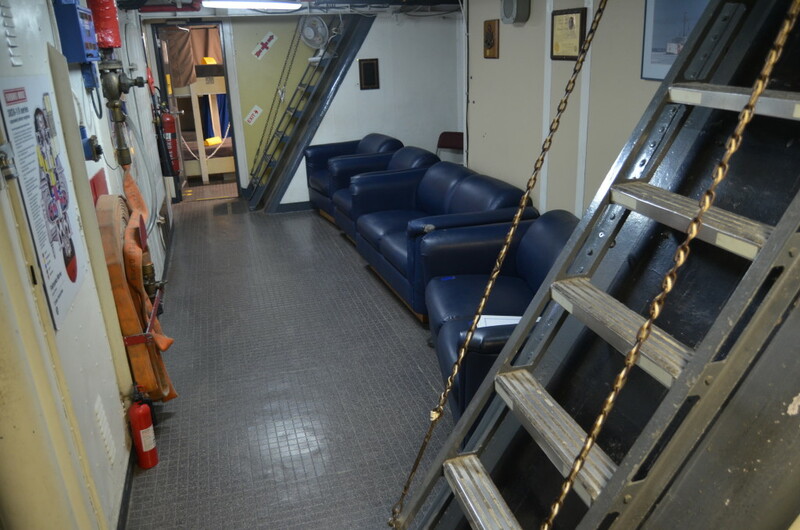 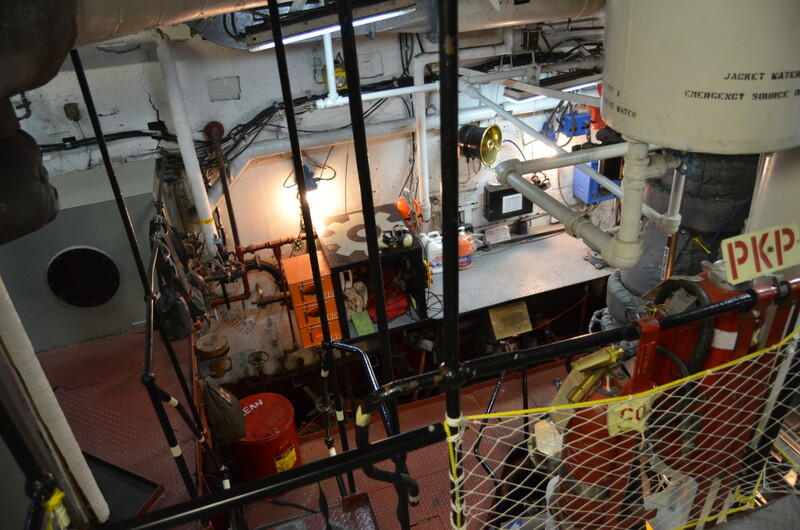 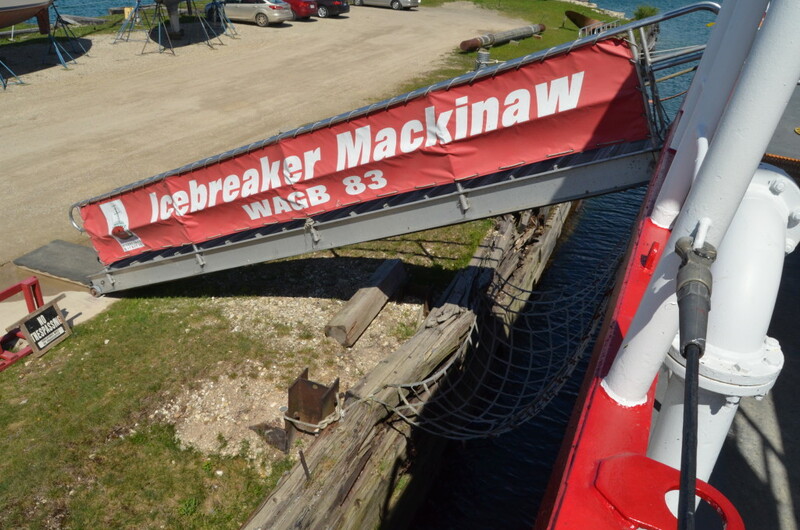 You’ll visit the kitchen, dining area, office and crew quarters, engine room, sick bay, meeting rooms, and the ship’s store (where you can buy Mackinaw souvenirs). 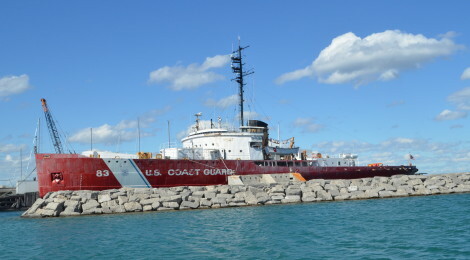 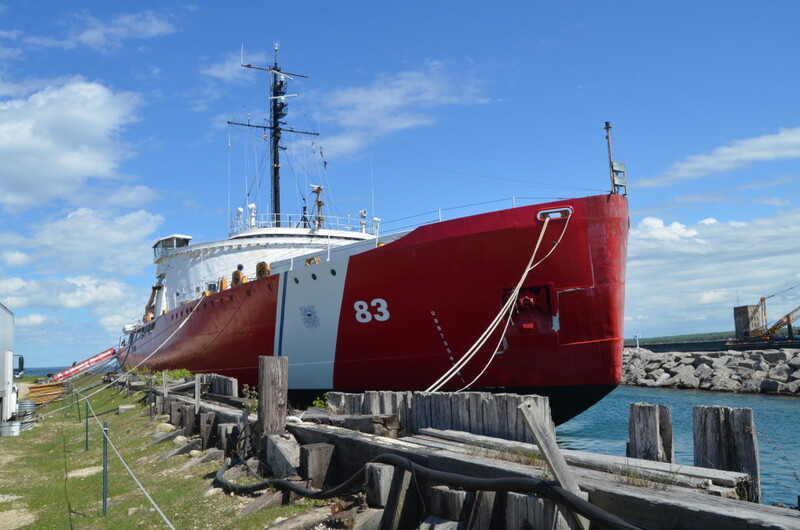 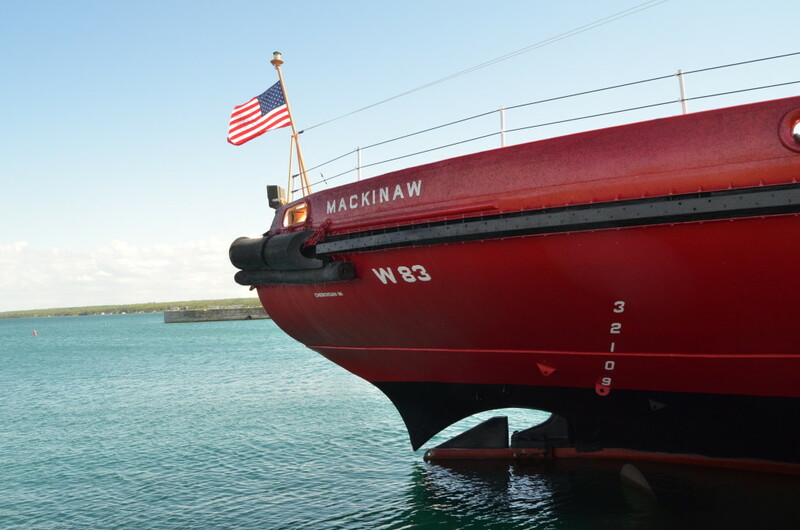 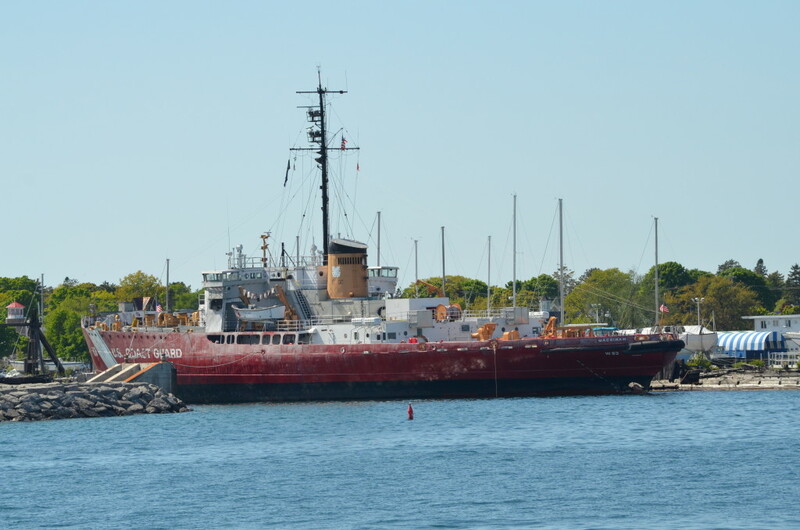 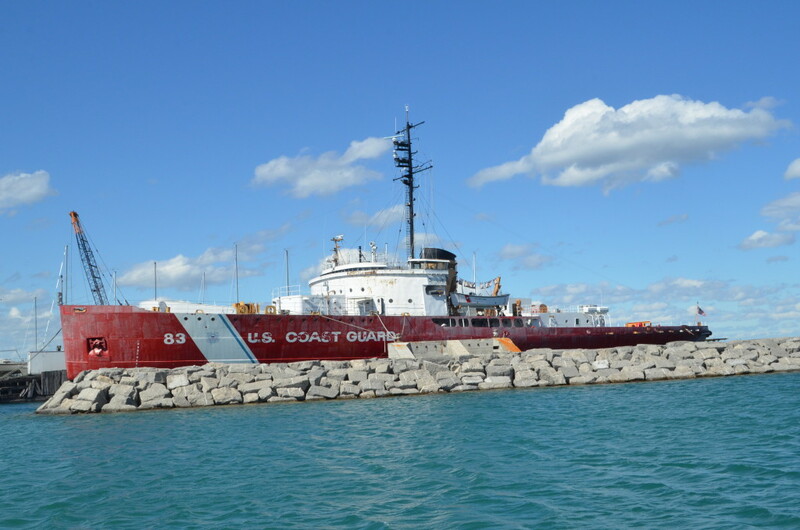 The Mackinaw (WAGB-83) was replaced by the Mackinaw (WLBB-30), a smaller vessel that is based in Cheboygan and performs many of the same duties. 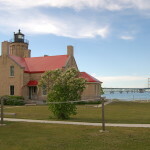 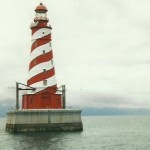 Located in the heart of waterfront activity near downtown, the Mackinaw museum is reasonably priced and fin for the entire family. 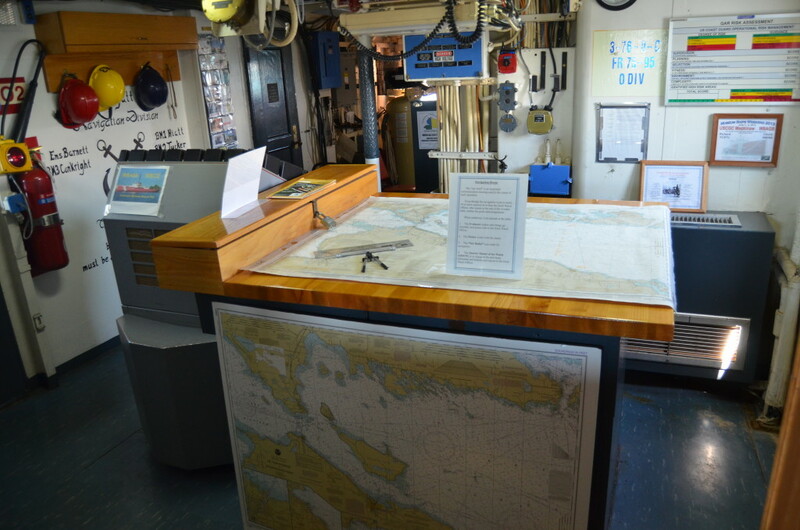 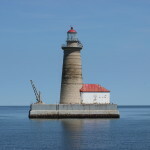 We had a chance to visit in June of 2018 and have put together this post from our visit. 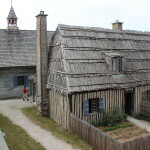 You can find more information about the museum at https://www.themackinaw.org/. 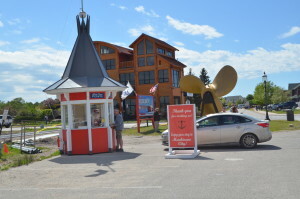 The driveway and parking area for the Icebreaker Maritime Museum is located on Huron St. across from the Mackinaw Crossing shopping mall.